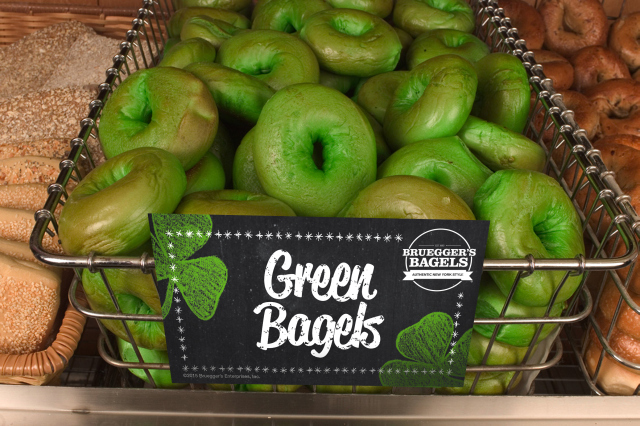 Bruegger's Bagels will again be serving green bagels in celebration of St. Patrick's Day this year. An annual tradition that started back in 1997, the green bagels will be baked throughout the day on Friday, March 16, 2018 and Saturday, March 17, 2018 at participating locations, while supplies last. 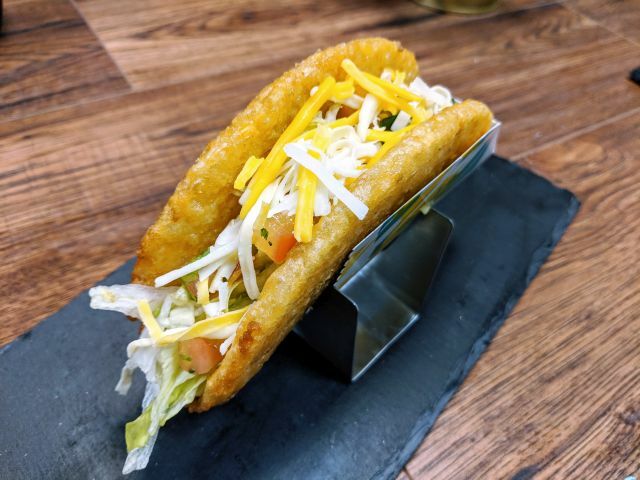 If you're looking to grab a dozen or more, the chain suggests pre-ordering them. Bruegger's also has a coupon for $2 off a Big Bagel Bundle (which includes 13 bagels of any variety and two tubs of cream cheese) available on their website. The coupon is only good March 16 and 17 at participating locations.